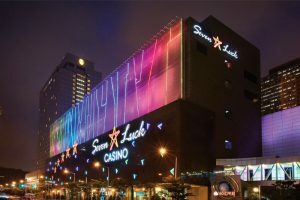 South Korea’s Minting and Security Printing Corporation has agreed to create new chips for Grand Korea Leisure, the state-run entity operating the Seven Luck casino in Seoul. The state-owned corporation is responsible for printing and minting banknotes and coins as well as government documents of different nature. This year’s EPT Barcelona Main Event was one to remember. The tournament turned out to be the largest one Main Event ever played within the EPT series and was packed with action and poker thrill. The Northern Marianas Casino Commission has asked Hong Kong-listed integrated resort developer Imperial Pacific International to fast-track the construction of luxury villas as part of its major development in the village of Garapan on the Saipan Island. The Director of the West Virginia Lottery resigned from his post on the same day the state’s first legal sportsbook celebrated its soft opening and two days before a grand opening ceremony was held at the facility, a press release from the office of Gov. Jim Justice reads. The WSOP is in full swing in Las Vegas and the WSOP Main Event is already drawing players from here and there to the poker tables of Rio All-Suite Resort & Casino. The casino might be the center of poker action right now, but it is far from being the only place in the United States where quality poker action is slated to take place this week. Slovakia’s Financial Administration has seized a number of quiz and gambling machines in what turned out to be the biggest illegal gambling operation to have been carried out in the country in recent years. It is that happy time of the year when poker celebrities, recreational players, and amateurs are flocking to Rio All-Suite Hotel & Casino in Las Vegas to take part in the WSOP $10,000 Main Event. Day 1A of this year’s edition of the world’s most prestigious No-Limit Hold’em tournament was played Monday at the host casino and 661 survived until the end to secure a spot into Day 2. A full ban on gambling advertising is set to take effect in Italy from January 1, 2019, it was confirmed last night after the Italian Council of Ministers approved the so-called Dignity Decree authored by Deputy Prime Minister Luigi Di Maio. With a brand new, very populist, and very anti-gambling government, Italy seems to be on the cusp of completely banning gambling advertising, thus opening what many would consider a Pandora’s box of nasty consequences for its gambling industry. Joe Cada scored his third-ever WSOP victory a few hours ago after he remained the last man standing in the $3,000 SHOOTOUT event. The player thus claimed his third gold bracelet and boosted his WSOP earnings, which already exceed $10 million, by adding a payout of $226,218. Japanese Prime Minister Shinzo Abe has once again stressed on the importance of a fair selection of locations for the country’s first integrated resorts with casino floor. The 2009 WSOP Main Event champ, Joe Cada, is looking to add a third gold bracelet to his career portfolio as he is leading a pack of 10 players into the final day of Event #3: $3,000 No-Limit Hold’em SHOOTOUT. Sweden’s gambling market was worth SEK5.63 billion (approximately $631.9 million, €528.4 million) during the first quarter of 2018, up 2.8% from the same three-month period a year ago, the latest figures released by the country’s gambling regulator Lotteriinspektionen show. Day 4 of the EPT Monte Carlo Main Event was a relatively short one but full of action and speedy eliminations of tournament entries. The day kicked off with 45 remaining players, but several hours later that number was reduced to just 16 finalists. Partypoker, the online poker brand of gambling giant GVC Holdings, seems to be quickly inching closer toward joining the shared online poker liquidity project that officially launched early in 2018. The bidding process for Japan’s first integrated resorts will likely begin late next year or even in 2020, Melco Resorts & Entertainment Chairman and CEO Lawrence Ho said in an interview with business media outlet Bloomberg. Atlantic City’s Borgata Casino has moved to settle the remaining portion of its claim against card manufacturer Gemaco in a high-profile case involving the gambling venue and popular poker pro Phil Ivey. Chicago mayoral candidate Garry McCarthy said this weekend that he would support the addition of a casino at O’Hare International Airport as it would generate new revenue for the cash-strapped city, while reducing the societal issues that can go along with the legalization of gambling. Two-time WSOP gold bracelet winner Benjamin Zamani added last night another piece of WSOP hardware to his collection of poker trophies. The player bested a field of 870 entries in the WSOP Circuit Planet Hollywood Main Event to claim his first WSOP Circuit gold ring and a first-place prize of $192,152. The final table of the WSOP Circuit Planet Hollywood Main Event was reached a few hours ago at the host venue. There are ten players left to contend for the first-place prize and a gold ring from the series. The final ten will be led by Scott Powrie into the event’s last day of action.